Brahmanda Guruji Shri Narendra Babu Sharmaji recommended to visit this temple for any kind of illness. When the Lord Vishnu took the incarnation as thiru Vikrama avathaaram, HE measured the boologam (earth) with one feet and the second feet was placed on vinnulaham (galaxy) and such holy feet proceeded and entered beyond the satya logam (one part of Galaxy) that Lord brahma is governing. Lord Brahma performed abishekam (pouring on) with his kamandala jalam (water) for this holy feet. The theerththam or water that fell off from the abishekam became several folded and descended as several holy rivers in parts of boologam (earth) of which the main and a very special one such is river ganges. The water that washed the holy and golden silambu (a type of anklet) of the Lord dropped at this place in Alagar malai area and became the "silambaaru" (silambu river). This silambaru is also known as "noobura gangai". The Thirumanchanam (pouring of water on the Deity) for the ursavar of this Kshethram (holy place) is performed using only the theerththam from this silambaaru in a tradition that goes back several centuries. It is noted that when such thirumanchanam was performed using the theerththam from other sources than this silambaaru, the ursavar idol used to get darkened. Hence it is a practice even today that people will travel 2 miles around the foot hills to get this punniya (holy) theerththam from silambaaru to perform the thirumanchanam. 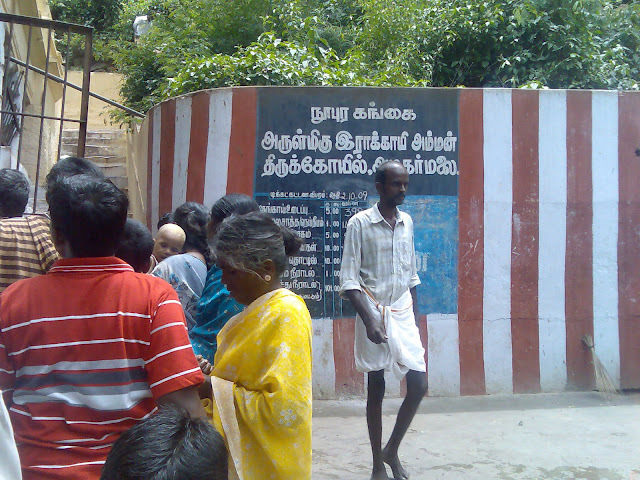 The temple stands at the foot hills of Azhagar Malai, on the outskirts of Madurai (21km from the Central Bus Stand). 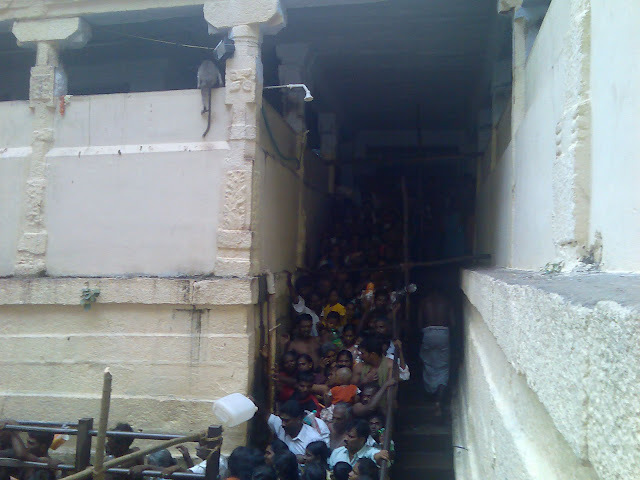 The mountains also house the last Arupadai Veedu of Lord Muruga, Pazhamuthirsolai. A number of smaller shrines dedicated to Shiva, Vigneshwara and Naga Devathas also dot the mountain paths. From the very peak of Azhagar Malai flows out the Noopura Ganga. The source of the spring is yet undetected, and it wells out from the sanctum of Rakkayi Amman and rushes down with all its purifying power. Rakkayi Amman is the protector of all the Theerthas in the place and is supposed to be the daughter of Angirasa munivar. On new moon days, special poojas are offered at her mountain shrine. Thousands believe that a dip in this Noopura Ganga is as holy as the one taken at the Triveni Sangamam in Prayaga. 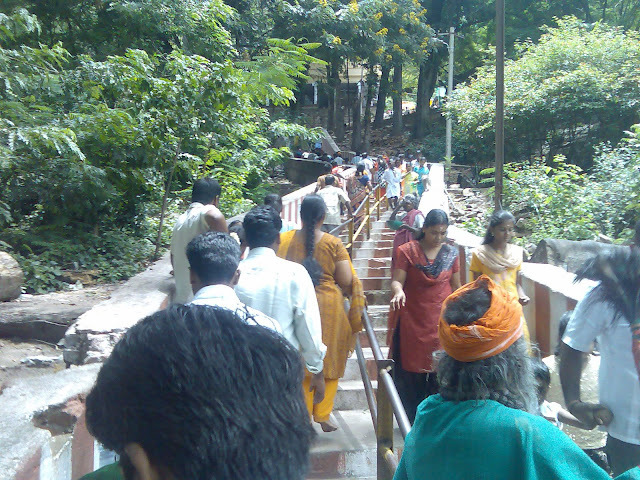 All the abhishekas and bathing ceremonies performed to Azhagar are done with the holy waters from the river. 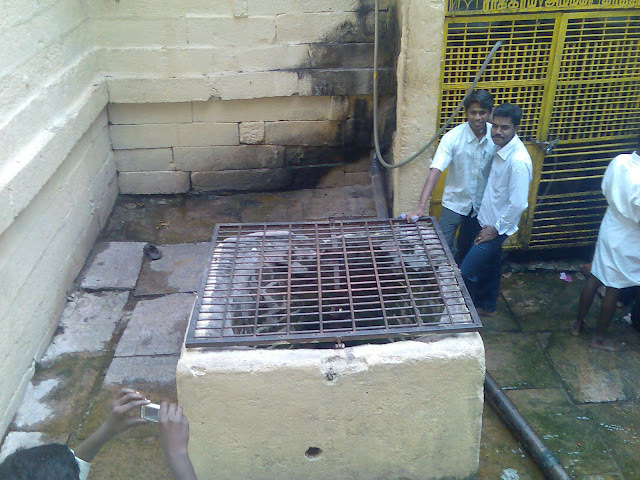 Temple sources report that if any other water is used, the Aparanji statue will blacken instantly.